One of the tricks of owning any commercial property is keeping the people that occupy that space on a regular basis happy and healthy. If you are renting out your commercial space to businesses or residents, it is crucial to provide a consistently comfortable environment for your tenants. If there are constant air quality issues, you may have trouble attracting and keeping desirable tenants. If your commercial space is set up as an office to run your business, then you will likely have even more incentive to keep temperatures comfortable and air quality clean. Poor air quality or a sweltering work environment can lead to reduced productivity, employee health issues, and a host of other problems. Once the weather starts to get warmer, a reliable commercial air conditioner service becomes essential for the overall contentment of your employees and clients. The onset of warmer temperatures is also an ideal time for routine maintenance on your commercial HVAC unit. Tune ups should be done at least once a year to keep things running smoothly and efficiently. Skipping these regular maintenance appointments is not recommended if you want to optimize the performance and longevity of your commercial unit. These regular inspections can save you considerable money and headaches down the road. For dependable and experienced commercial air conditioner service in Mississauga and the GTA, Air In Motion Heating & Cooling is a smart and practical choice. The experts at Air In Motion have been striving to keep people comfortable in the GTA for over 17 years. As the winners of several Home Star Awards for exceptional customer service, you can expect outstanding service and results with every visit and interaction. Whether you require installation, maintenance, or repairs, a technician will get back to you within 2 hours after issuing any request during business hours. 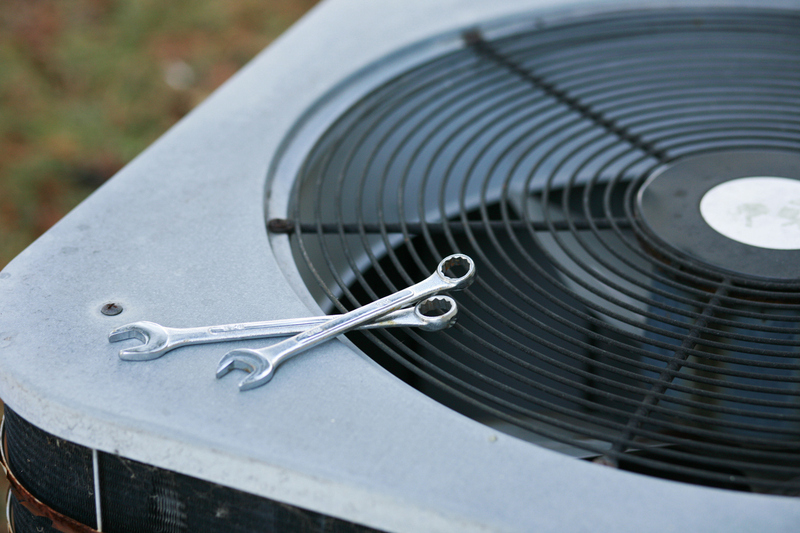 The HVAC technicians at Air In Motion are fully trained and licensed to handle commercial air conditioning installation, maintenance, and repairs. One of the greatest benefits of a commercial HVAC unit is the consistency it provides. Commercial air conditioners are meant to offer an even and steady delivery method for cold air. With traditional air conditioners, sometimes the approach is to turn the temperature way down and see what happens. This method is not advisable because it will never provide a consistently comfortable temperature. Air In Motion technicians can make sure settings are programed to keep it consistent and comfortable all the time. A commercial HVAC air conditioning unit will increase the efficiency of your cooling system. For any commercial space, air conditioning can be a considerable expense. A professional HVAC team like the one at Air In Motion can help reduce energy use with efficient installation and maintenance. Increased efficiency in turn lowers expenses. Not only does it cut down on utility bills, but also reduces the need for repair costs. A professionally installed and well-maintained commercial air conditioner will help prevent unforeseen problems like your air conditioner shutting down on you on the hottest day of the year. Avoid stress and potentially lost profits with commercial air conditioner service from Air In Motion.